This is the conclusion of the story of Hugo’s uninsured hospital stay. Check out Part 1 for the back story. I drove a feverish Hugo (103 rectally) and a lightly stunned husband who had just taken Nyquil down to Monmouth Medical Center at 11:30 PM on a Friday night. We arrived a little after midnight, significant because the Charity Care office in the ER had closed for the day. The woman at the front desk was very nice. She said it didn’t matter to them that we didn’t have insurance. I was relieved to be there after three days of worrying and Tylenol. I was confident that Hugo would get what he needed to get better. Our doctor was also super nice. She thought Hugo probably had a virus and ordered x-rays for his chest, a swab of the back of his throat, a urine catheter and an IV that would yield a blood test. The x-ray was first, and something told me I should refuse it. I know they were only doing it to rule out certain things and I felt that it wouldn’t be necessary with the other tests. I didn’t want him exposed to radiation after being protected from it the whole time I was pregnant. He was only three months out of the womb, after all. But I didn’t say anything. I had to hold him down on the table. He smiled at me and kicked his legs each time the technician positioned him then screamed and screamed when I held him down for the x-ray. That was a bitter $40 bill to pay the following month. Back in the ER room, two nurses came to do the other tests. The worst part of this by far was that when Hugo was laid on his back, he would make eye contact with the person in front of him, smile and give his happy leg kicks in greeting. Then he would scream as they swabbed his throat and then inserted the catheter. The doctor told me that she instructed the nurses to give the IV just one shot since she didn’t believe that an IV would be necessary for Hugo. That gave me the courage to stop them after two attempts to find a vein in Hugo’s hand while he wailed in fear and pain. From then on, I was known as the mom who wouldn’t let us put an IV in by each health care worker we met during our stay. Rick swears that I kicked him out for the tests. I thought I just told him that he was making it worse by letting Hugo see how upset and scared he was. I don’t know. It was 3:00 AM or something and I had no visions of being safe at home in our bed any time soon. They turned the lights out and I sat up on the bed to nurse Hugo. I wished he would fall asleep. His fever was down. News came that he had a urinary tract infection based on the white blood cell count in his urine. We were told that Hugo was to be admitted and wouldn’t be released until Sunday (this was late Friday night/early Saturday morning depending on your perspective). Hugo got a shot of antibiotics in his thigh and we went upstairs to the pediatric floor. Just like the night Hugo was born, doctors and nurses explained things at length to us at 4:00 AM when we were completely incapable of understanding or questioning. I think they were waiting to see what grew in the urine culture to determine the antibiotic course or treatment before we could go home. I was so happy to hold a non-feverish Go. I was so sure that Mr. Go didn’t start boycotting the crib until after he got sick, but I knew he wouldn’t go down in the hospital crib that night. Instead, I tried to sleep and nurse him to sleep in a vinyl recliner at 5:00 AM. The in house pediatrician came in to talk to us at 7:30 I think. More lucidity. Hugo was so tired later that morning that he did go to sleep in that crib. I also finally commandeered the empty bed in the room and nursed Hugo to sleep lying on my side. Rick went home to get some provisions and our friends who live nearby brought us food and good cheer. Then at 4:00 PM, the doctor suddenly discharged Hugo. Nothing grew in the culture (but he had an infection?). We were given a prescription for “cheap” antibiotics ($57) and sent happily home. The charity care office wasn’t open when he was discharged, but I got a name and number to call. I was still certain that Hugo’s insurance would cover the charges when it kicked in. I heard back from NJ FamilyCare that week, asking for a ton of financial records and proof of loss of insurance. I spent several days compiling it. In the weeks that followed, we received the first round of bills from the hospital. The hospital bill totaled around $8,300, the ER doctor’s bill was $730 and the x-ray came in at $40. I called the hospital to explain that we had applied for NJ FamilyCare and were waiting to be approved. Our account was marked “pending medicaid” and I relaxed somewhat. It took three weeks for the caseworker at the county medicaid department to inform us that our income level was too high for the county and should have been sent to the state (there was only one form to fill out and send – no choice for me to make). Once she sent the packet to the state, I was asked for documentation from my old insurance carrier showing the date that Hugo’s coverage was terminated. The next day, I was told Hugo was approved but coverage was not retroactive. Not only that, coverage wouldn’t begin until we prepaid two months’ worth of premiums with an activation date of June 1. That was more than two months after I applied. I had faith that it was all going to work out. We had done everything right, after all. Hugo had insurance (he got so many shots that first week in June and a fever that really was a side effect), and I was going to go back to the hospital and apply for charity care. I had heard plenty of good things about it – prove your income and your bills disappear. More expensive than universal healthcare, but hey. I called ahead and compiled many documents of identification and income proof (even had to drive to the unemployment office in Perth Amboy to get a printout that showed UI payments). The person I spoke to on the phone didn’t work in the office I went to. They needed more information from me – my marriage certificate and other papers that I faxed the day after I went. I called the next day, a week later, two weeks later. The person I met with did not return my call. Finally we were told that it takes four to six weeks for the hospital to make a determination. The next day, I received a call from the charity care office. We qualified for partial charity care based on income level, which knocked the bill down 40%. She told me that I’m much better off making a payment plan with my adjusted bill of $895. That was the first time I heard that there was an adjusted bill. OK. I will forget about charity care and make a payment plan. We could swing $50 a month. I waited to receive the adjusted bill that I had been told was coming. In the meantime, a woman from the hospital came to my house to ask me about Hugo’s bill. She was very nice, wanted to tell me about charity care and encourage me to apply. She had no idea that I had already applied and been awarded 40% off. She was very apologetic and left quickly. I called the ER doctor’s billing department and asked to make a deal. They accepted 50% of the bill provided I paid right then over the phone. I did, and asked for a receipt that stated it was paid in full. He assured me that it would be emailed to me, but it never was. We received a bill a couple of weeks later that showed a payment received on account and no mention that the bill was settled. My husband called with smoke coming out of his ears and was fortunately told that the bill really was settled but we still have nothing in writing. It could go to collections and we would have no proof of the deal. I got the adjusted bill from the hospital stating our balance was $895 as I had been told. I called up to make a payment plan, offering $50 a month. I was told that I could pay whatever I wanted, but if it was less than $75 a month, it was going to collections. That’s not what I had been told about medical bills – haven’t you always thought that you could pay $10 a month and never go to collections? Then the person in the billing department said she would make a note that we had no insurance at the time and that this would bring the bill down even further. She said to wait until we got another bill and call back to make a payment plan. The next bill was still for $895. We made the payment plan of $75 a month to avoid collections (and we were told if it’s not paid off in 12 months that it will accrue interest). I actually got a letter confirming the plan, which was a good thing considering we started getting calls from St. Barnabas billing department yesterday because we hadn’t paid the bill. That rep did not believe my husband that we had a payment plan in place and called the hospital to check. Amazingly, the hospital confirmed it. Hopefully enough departments are aware of the payment plan at this point to keep us out of collections. Hugo recovered beautifully, which is the important thing. We still get overly nervous when he has a fever (like the one he had this week from teething, maybe?) but we’re grateful that he is healthy and insured now. I started this blog in part because I wanted to share my experience with Hugo’s uninsured hospital stay this spring. I decided not to write about it until everything was resolved, even though it was at the forefront of my mind at times. Now we finally got a payment plan from the hospital in writing, and I am pretty tired of thinking about it at this point. I still think it’s important to share, though. I know a lot of people are losing their insurance now, so any voice of experience could be a help and maybe save you some mental energy. This is part 1 of 2 – how Hugo ended up in the hospital (without insurance). Hugo had his three month doctor’s visit in late March. He got a few shots. I was officially laid off of my job on March 28 at the end of my maternity leave and FMLA. I applied for state Medicaid for Hugo the day I was laid off. I knew he was eligible by reading the income guidelines online. Our governor had recently lowered the income eligibility requirement for parents to the federal poverty level, but children were still eligible for coverage at more reasonable income levels. We lost our insurance on a Monday. Hugo got a little fever on Wednesday. 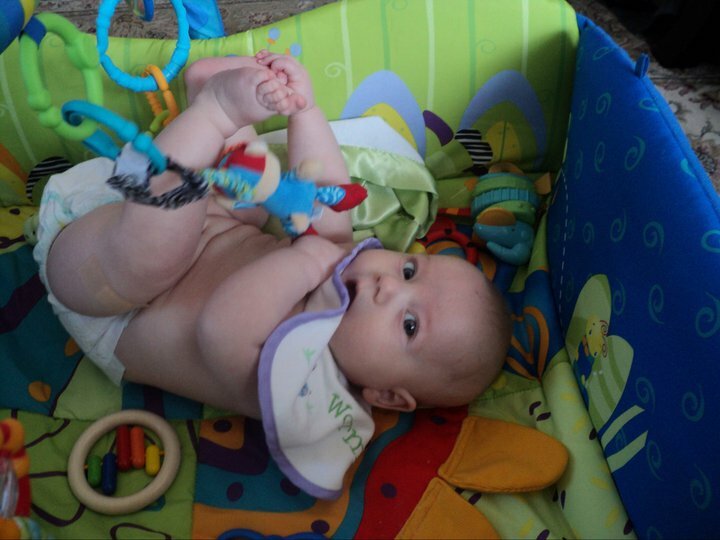 Even though it had been almost a week since his shots, I thought maybe it was a reaction to the pneumococcal vaccine. My dear friend who is a nurse practitioner thought as much after I sent a handful of worried text messages. 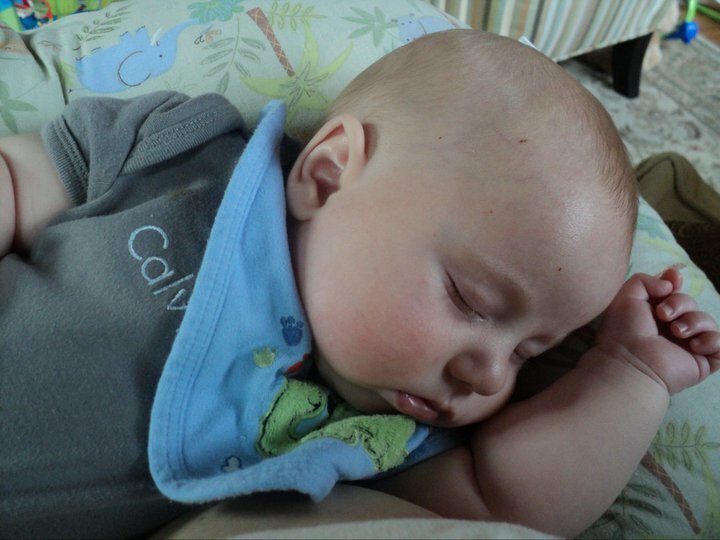 Hugo was three and a half months old, so he could have acetaminophen for his fever. It did the trick, every six hours, give or take. I kept thinking his fever broke but it came back when the Tylenol wore off. I got worried and called his old pediatrician from when he had insurance (they don’t take the state insurance so I knew we had to switch). His fever hit 101 on Thursday. The doctor said we should go to the emergency room since the office wasn’t open. I got defensive because it sounded like such an overreaction. Again, Hugo woke up crying in the middle of the night when his fever came back but Tylenol kept working. I had made an appointment with a local pediatrician who takes state insurance. I assumed that when Hugo got his insurance it would be retroactive to when I applied. Of course that’s what I thought. That has been my experience with all the fabulous insurance plans I’ve had through my employers and my parents’ employers for my whole life. I had applied for Medicaid the first possible day. There is normally a three month waiting period but they make an exception if you are laid off. By the way, I had never gone one day without health insurance until March 28. The pediatrician was great – she listened to us and was very thorough. She said that if we had insurance, she would recommend getting blood work, an x-ray and a urine catheter to look for the source of a possible infection. Since we didn’t have insurance, she said we should go to the emergency room if his fever went over 101. The Tylenol kept working. Hugo was up pretty late. Rick had been struggling with a cold. He asked me if everything was OK at around 10:30. I thought Hugo was doing better, so Rick took Nyquil so that he could get some rest. I was nursing Hugo to sleep at around 11:00 when he started burning up. His temperature was 103. 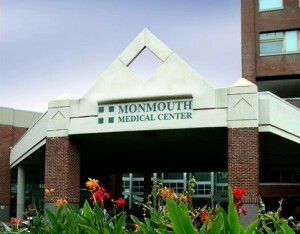 We decided to go to Monmouth Medical Center, where Hugo was born. Rick shook off his Nyquil stupor and we piled into the car at around 11:30 – just about the same time we drove to the hospital when my labor was induced. I drove this time with the men in the back seat. That half hour or so was all the sleep Hugo got that night.